Enter your email address below to receive a notification when Game-Over-Box starts accepting new sign-ups! 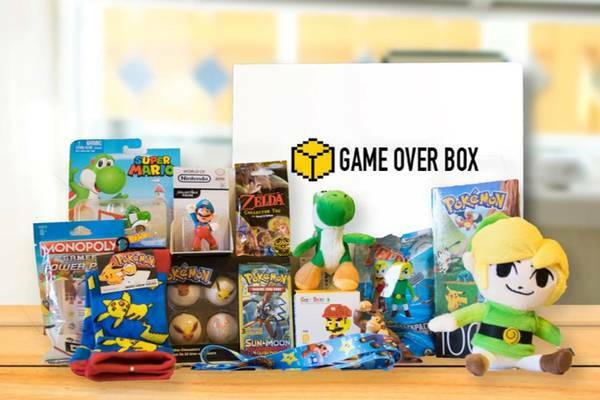 Enter your email address below to receive a notification when Game-Over-Box is accepting new sign-ups again. New Subscribers can use code WELCOME3 at checkout to get $3 off their first order! 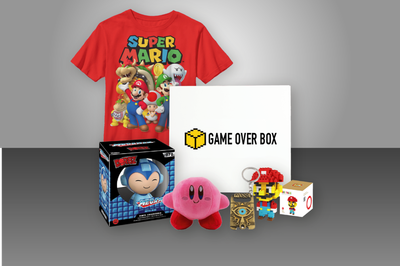 You must order by the 25th of the month to get the next box. We will ship on the 1st of the month! 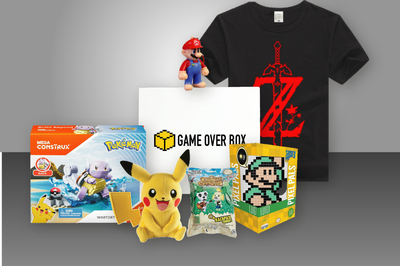 A monthly subscription box filled with 4+ items from your favorite Nintendo games including, shirts, plush, figurines, and more. 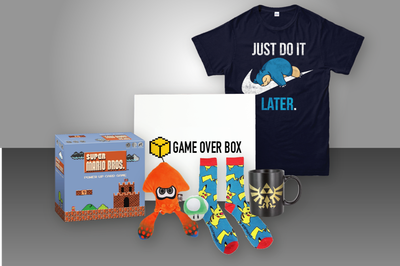 Every box includes a shirt!